This past Saturday I spent the entire day out and about shooting photos. 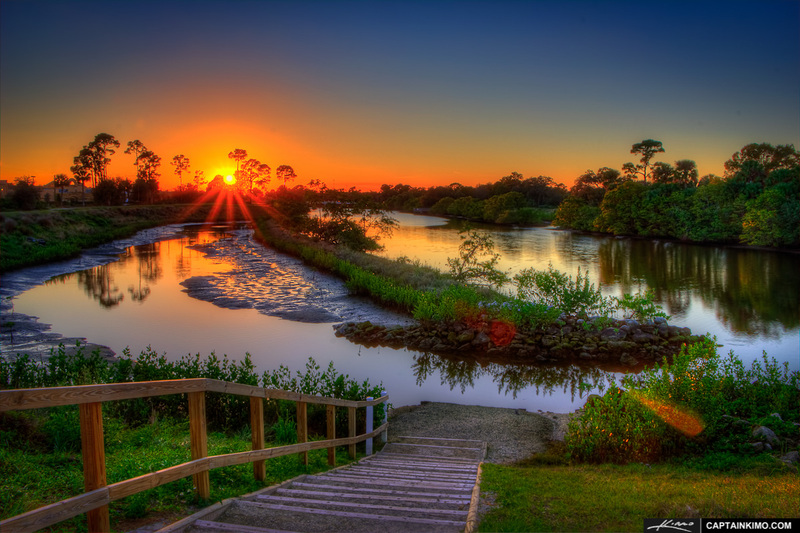 It started at 4:30am waking up to catch the sunrise Viera Wetlands in Melbourne, Florida which is 2 hours north from Palm Beach Gardens. I ended the day with a sunrise shoot in Jupiter, Florida, with this photo taken at Limestone Creek Park at the Kayak Launch. This is a three exposure HDR image merged in Photomatix Pro and enhanced using Topaz Denoise and Toapz Adjust.